In celebration of the 70th anniversary of the legacy trade associations, the Water Quality Association has pledged to match donations up to $35,000 for a total goal of $70,000! Starting now until April 30th, give to WQRF and your donation will be MATCHED dollar for dollar! 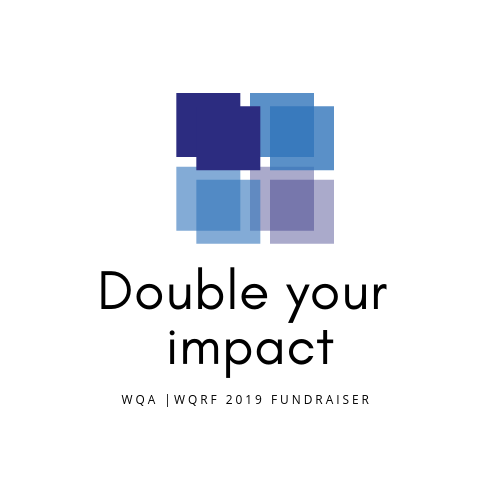 Help us reach our goal for 70 individuals and companies to support WQRF. As a contributor, you'll get quarterly updates on projects and first access to research reports. Unrestricted contributions support research projects, including the annual grant program, and operations. Matching Campaign contributions are fully tax-deductible. All WQRF contributors benefit from getting first access to research reports, quarterly updates, recognition and direct feedback on research projects.